We have great relationships in PR and many great Journo’s are freelance. 31, 6’2, has a bit of a belly, crap eyesight….oh wait….I’m a freelance journalist and editor, specialising in tech, with the occasional mix of gaming, lifestyle and automotive writing. Title and regular publication wise, I’m News Editor at Computer Shopper, Freelance Associate Editor at IT Pro, and Contributing Editor at The Inquirer. I also provide media training, copy writing and content consultancy. I started out in tech PR but was encouraged to leave various agencies. I’d studied journalism at university and it was the only career I could envision going into after it turned out my eyesight was too poor to be a pilot and I can’t draw well enough to be a designer. It was a bit of an accident. I originally wanted to go into gaming press, then lifestyle. But I worked in tech and engineering PR and the next logical step was tech or automotive journalism. I’m interested in how tech changes things and industrial design so technology is a good area to be in. Interesting brands that are doing something different, innovative, new or do something really well. I’m inspired by brands with vision and who cut the BS. I like to take to interesting spokespeople, try new products, and get an insight into interesting things in interesting locations. What made you choose freelancing? I was made redundant so the choice was forced on me! I started doing it while looking for a suitable next job but it has been going well enough for me to stick with it. 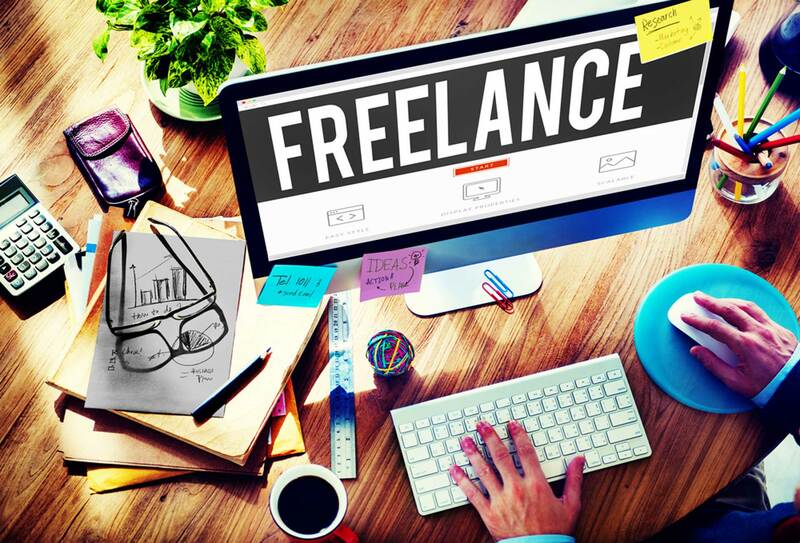 What are the Pro’s of working Freelance vs contracted full time? In my case, avoiding the daily commute, flexibility, being your own boss, the scope to do interesting projects. But really, the money. I now make what I’d say is PR money but doing journalism. For context, my income has jumped more than £19k in a year; there is money in journalism but it needs effort and good ideas which brands can help with. You work alone a lot. Paranoia over work running out. Not really feeling part of a team (no one sends me pizza at phone launches or birthday gifts as happens at some publications). I often work the weekends and have to fight to make sure I get on press lists. What advice would you give to anyone looking to go freelance? Plan ahead before you leave your full time job if you have the chance. Say yes to most stuff as you can turn down work later. Don’t sell yourself short; writing is hard work to do well and worth money. Network a lot, it’s want has got me my work and allowed me to rarely worry about pitching. But before that, make sure you put in time as a reporter or staff writer – you need to learn the ropes, make the contacts and go through all the mistakes so you’re ready for freelance life. What advice would you give to anyone looking to grow their career in technology? Learn to code, study successful and failed companies, keep abreast of the latest tech. What do you believe that people need to know/hear/see to consider technology as a career option? It’s not all nerdy stuff, tech can change things and will eventually be the key to saving humanity from itself. There are women in tech but more are very welcome and it’s an industry that will support you if you’re good. What was your biggest success and your biggest learning opportunity? I got a nice exclusive about the Met police and iPad use that got picked up by major publications. I’ve made freelance work in a challenging environment so feel that’s a success. I’ve learnt not to be afraid to challenge industry figureheads and that there’s a story in everything. Having a good mentor is crucial – I have little talent, I’m just well trained. But the biggest opportunity is simply I have more to learn and finesse my writing and editing. What are the key differences between working with big brand corporation vs smaller agencies? Big brands and agencies can be aloof while smaller agencies allow for closer relationships. However, smaller ones are often hamstrung by lack of budgets, scope and dynamic clients willing to splash money on campaigns and media events. I want information that’s quick, concise and easy to understand. Too often I struggle to find what’s new and what isn’t at a quick glance. As a freelancer I can get forgotten but I expect PRs who claim to be media experts to knew what I cover and the scope of what I can do. When it comes to the relationship between PR and media, there is just as much onus on journalists to put on the effort and make it clear what they’re all after. Not really! There’s been quite a few. Basically, the best PRs are the ones that know what they’re doing, follow up when they say they will, provide the right information and don’t prioritise one publication over another. @Agent42 is decent at this. What can a brand do to make you sit up and pay attention? All the big names in afraid; Microsoft, Google, Intel etc. But I do like seeing what the gaming brands to in terms of hardware and any start up or company doing something different and interesting enough that you’d tell someone down the pub, then I’m all ears. Tell us about one of your favourite brand PR experiences? I do enjoy the Acer trip to New York. Google and Samsung product launches are decent. And any event with a car company is pretty special. I also like a nice lunch. Just pitch relevant stuff and offer interesting opportunities. I like the Surface Pro a lot. I’d quite like a very powerful gaming PC with a swanky 4K HDR monitor. New iPad wouldn’t be bad. Smartphone all the time. Most of the time Surface Pro/laptop and iPad. What predictions do you have for Tech innovations in 5 years’ time? The robots will kill us all! Not really, general AI is a way off yet. 4K HDR gaming will be mainstream, as will game streaming. Virtual assistants will be more capable and creepy. Driverless car tech will keep advancing. More green eco-friendly tech.